Burning neck pain describes the sensation of heat or the actual presence of heat within the greater neck anatomy. These feelings are usually centered in the muscular structures, off center of the spine, but can be experienced virtually anywhere in less common scenarios. Burning can increase patient distress due to both the actual pain suffered, as well as the worry that something is truly seriously wrong in the body to create such torture. Burning is a relatively common expression of neck pain and is virtually always associated with muscular causation. In this essay, we will examine the causes of burning pain in the neck, the symptoms that might be presented and the best course of treatment for the usual varieties of burning neck issues. Burning is not typically a symptom of spinal causation when it comes to dorsalgia. Instead, burning is almost always associated with myositis conditions that reside in the muscular and connective tissues of the neck, shoulders and upper back. Burning might be a mere perception or might be objectively palpable in the muscular tissues. Burning can occur anywhere in the neck or upper back, but typically involves off-center symptoms that reside in one or more hotspots of pain, with radiating patterns of heat from these focal symptomatic zones. Pain might occur unilaterally or bilaterally, and may affect several different regions of the neck and back, often on opposite sides of the spine at different heights. Hotspots of heat might be sharply painful, while the radiating areas around these central zones usually present dull pain. Particular movements and postures are often symptomatic exacerbators or relievers. After the heat fades in a symptomatic zone, the patient is often left stiff in that region. Alternately, acute stiffness might precede pain, as well in some patients and usually recurs once the most acute pain subsides. As previously noted, burning pain is most often associated with muscular causation. Burning pain can occur after minor, moderate or severe muscular injury, such as strain or sprain conditions. Repetitive strain problems might lead to chronic pain and recurrent burning in the greater neck anatomy. Injury might result from any number of known, suspected or unknown causes, including lifting, impacts, whiplash or other cause or hyperflexion or hyperextension. Muscular pain might also be the result of a mindbody ischemia syndrome, such as tension myositis. These sinister conditions can create incredibly severe symptoms without any structural basis for the pain existing. Instead, symptoms are generated through purposeful oxygen deprivation of the affected tissues. The result is a wide of discomfort issues, including pain, burning, tingling, weakness and/or numbness. In rare cases, burning can occur in association with spinal problems, such as nerve compression or chemical radiculitis. Typically, these events create symptoms close to, or directly on, the spine in highly defined areas. Symptoms typically do not last or come in predictable patterns, such as those involved in more common muscular expressions. Likewise, changes in posture or activity rarely provide relief, although some might exacerbate the pain. Patients are advised to rest the area, but not immobilize it. Move the neck gently and try to discover which postures and movements relieve the pain and which worsen it. Apply your findings to help manage the pain while the area heals naturally. Ice might provide substantial relief, especially if inflammation is present. Ice is usually best when applied for 15 to 20 minutes on and one hour off throughout the first 48 hours after minor muscular, ligamentous or tendon strain. Heat is great for pain conditions that are not linked to specific forms of injury or for injuries that have passed the 48 hour mark and have responded well to ice. Heat is best applied using wet forms of therapy, such as hot towels, showers or baths. Massage might provide noticeable relief and can be attempted by a friend, family member or even the patient themselves. Gentle massage is preferred, so aggressive forms of massage should be avoided to prevent aggravating the symptomatic expression. OTC remedies might be helpful, but should be taken with care and used for the shortest duration possible to avoid their inherent health risks. Medical cryo and diathermy treatments will work in much the same manner as heat or ice applied at home, but with great efficiency in some instances. Professional massage and chiropractic might help mitigate symptoms without any risks. 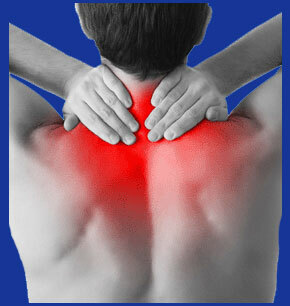 Acupuncture is also a great choice of pain management given severe cases of burning neck pain. Physical therapy and Alexander Technique might be useful in correcting postural and movement-related issues that might be contributing to the pain. Prescription pain management drugs and injections should be avoided whenever possible. These substances are very toxic and can cause more damage than the small amount of relief they might provide. For chemical radiculitis problems that create burning, flushing injections might provide a true cure over time. Rare cases of extreme muscular, tendon or ligament injury might require invasive intervention, especially when tissues become detached and will therefore not heal completely and organically without surgical fixation. Patients might also consider adding psychoemotional therapies into their mix of care tactics, especially if physical measures fail to bring relief, the symptoms change or if the patents suspects a stress-related causation. Our favorite form of mindbody therapy is certainly knowledge therapy as this alternative medical practice offers great outcomes for many patients with chronic pain problems.